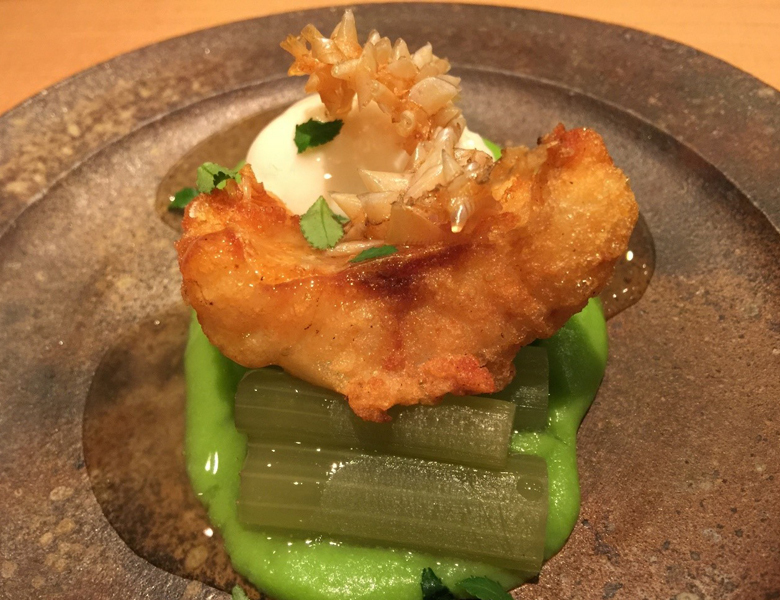 Kappo Cuisine @ 1 Star Oimatsu Kitagawa! 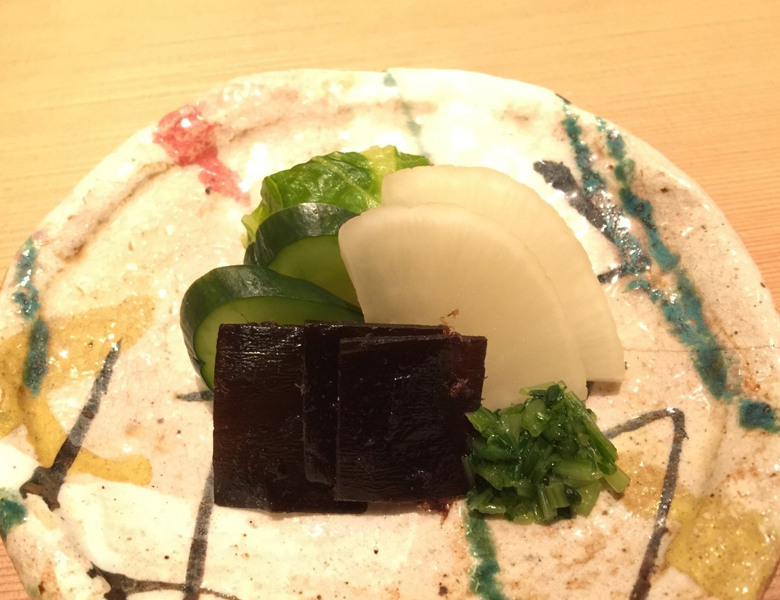 I was very excited to be able to get a reservation at Oimatsu Kitagawa for dinner. 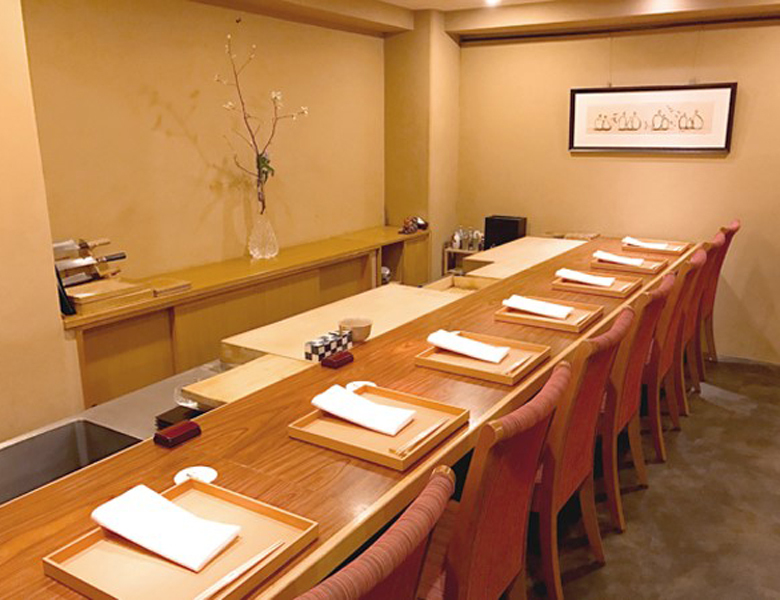 Oimatsu Kitagawa has been listed in the Michelin Guide as 1 Star every year since opening and has been creating quite a buzz. 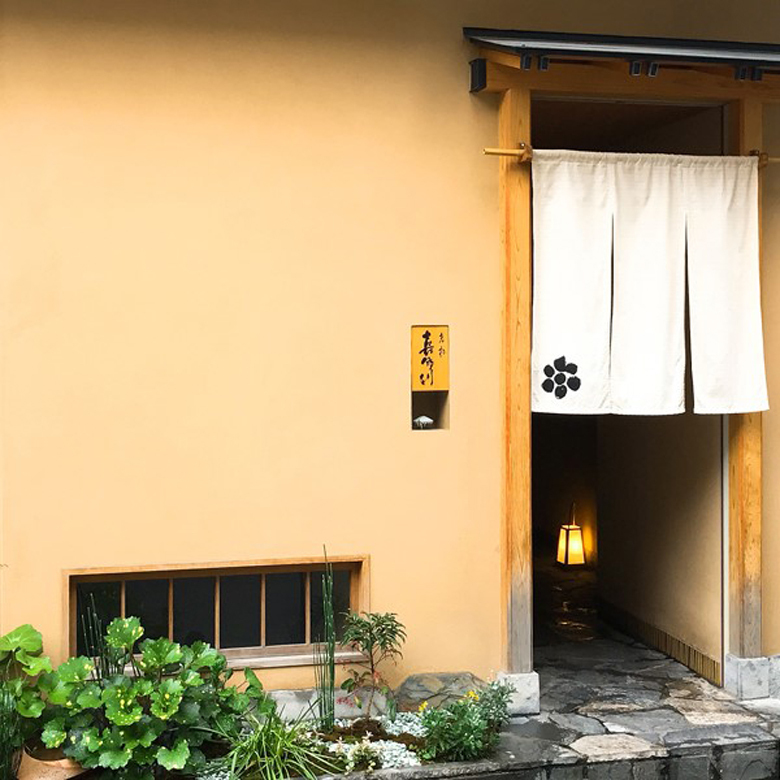 The neighborhood it is located is not particular a touristy place, but one inconspicuously tucked away on a side street-a place you might imagine to be hidden away on a back street as opposed to the first floor of a brightly lit mall or next to a bunch of chain restaurants. The restaurant was nonetheless very easy to find on Google Maps. We were warmly greeted as we arrived and sat at the counter. The atmosphere can be described as rustic and impressive in its austere simplicity. 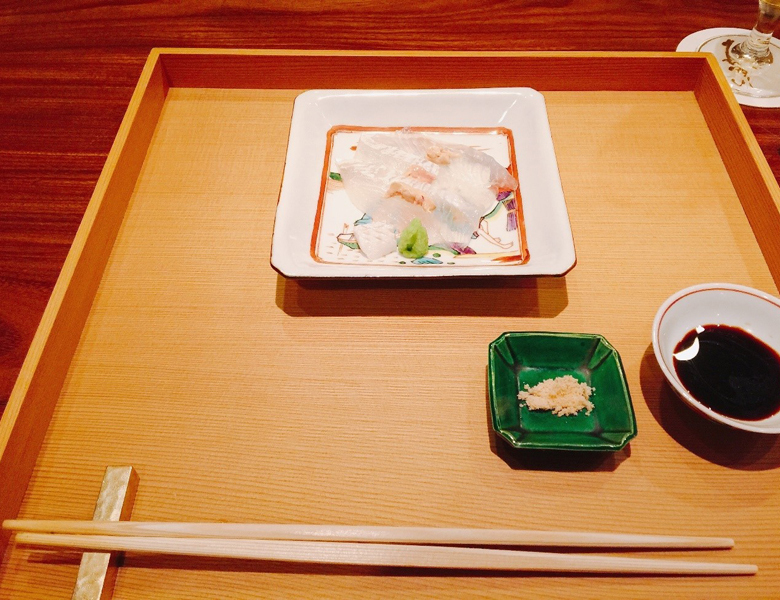 The food is prepared “kappo” or prepared in front of the customers at the restaurant. It was interesting to watch the chef and the assistants at work, I can’t even imagine how much work goes into prepping behind the scenes. From what I have heard, many hours of laborious work are required beforehand, which people at the restaurant never see. We got to see the chef grill the dishes in a live flame, as well as finely cut some of the ingredients. The counter is a bit more raised than I have seen other counters, making for an easier view and better angle for watching the chef at work. The “owan” or soup. 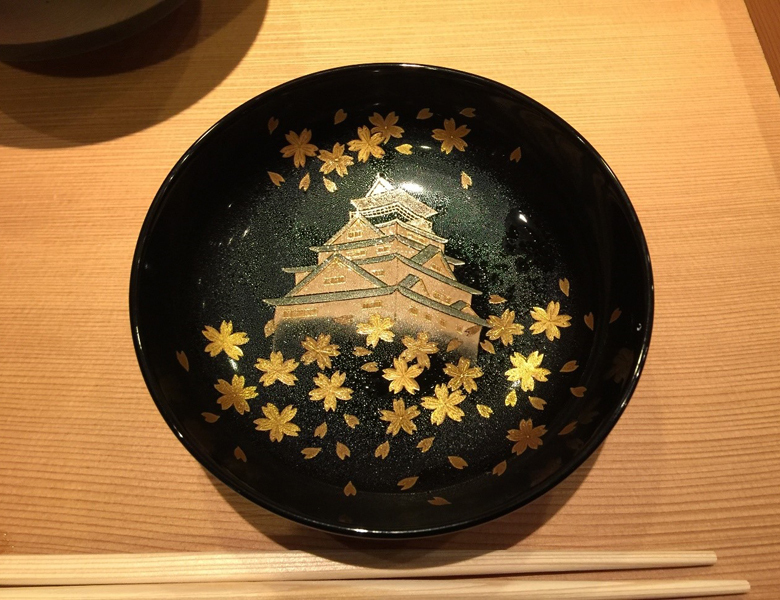 The lid had an impressive picture of Osaka castle which was in gold leaf. The clear broth worked perfectly with the vegetables and ingredients. 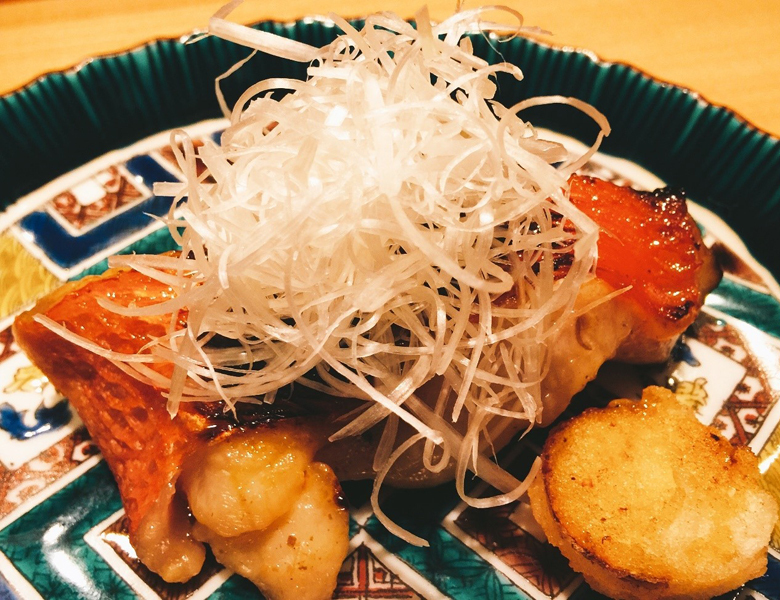 The “Sakitsuke” or appetizer. Was delicious as it looks. 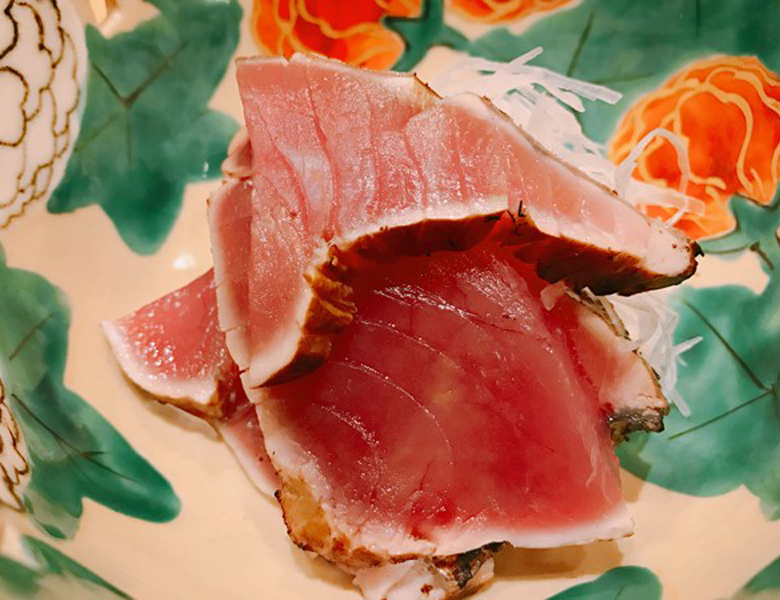 “Mukozuke” or Sashimi with wasabi and soy sauce. A beautiful dish with shrimp that was unlike anything I had ever tasted before. 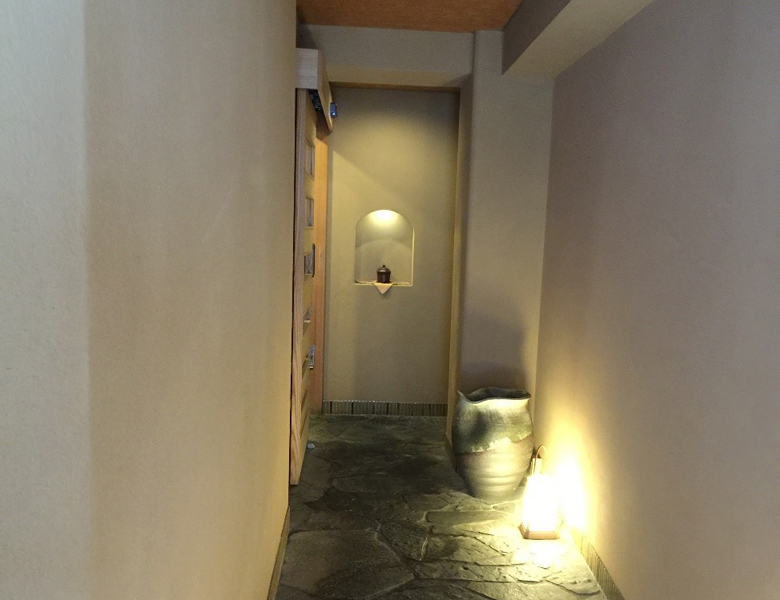 The “takiawase”. 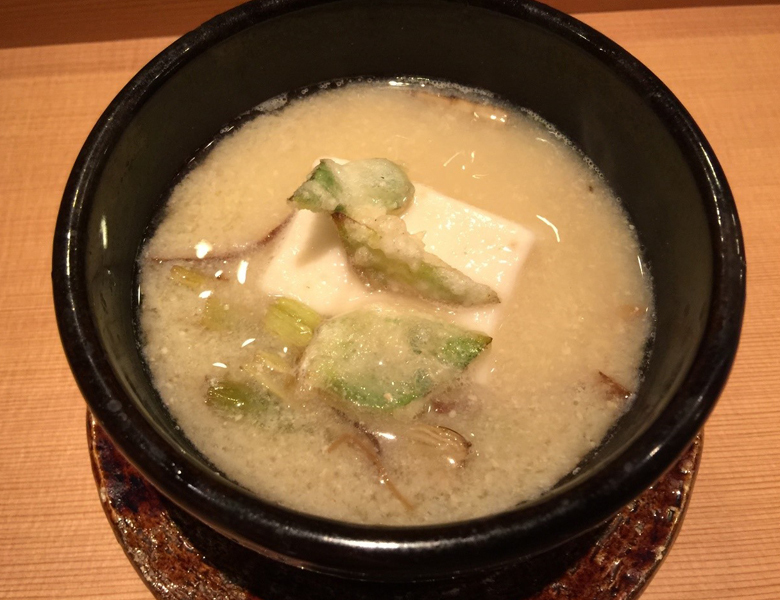 A hearty soup with tofu and strong flavored broth. 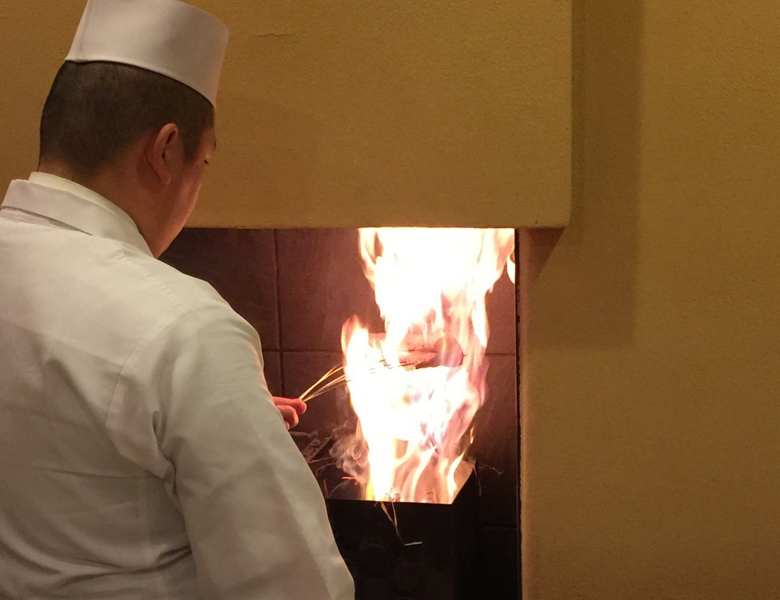 Chef Kitagawa cooked some of the food using a live flame in front of us at the counter. Amazing to see the master at work. 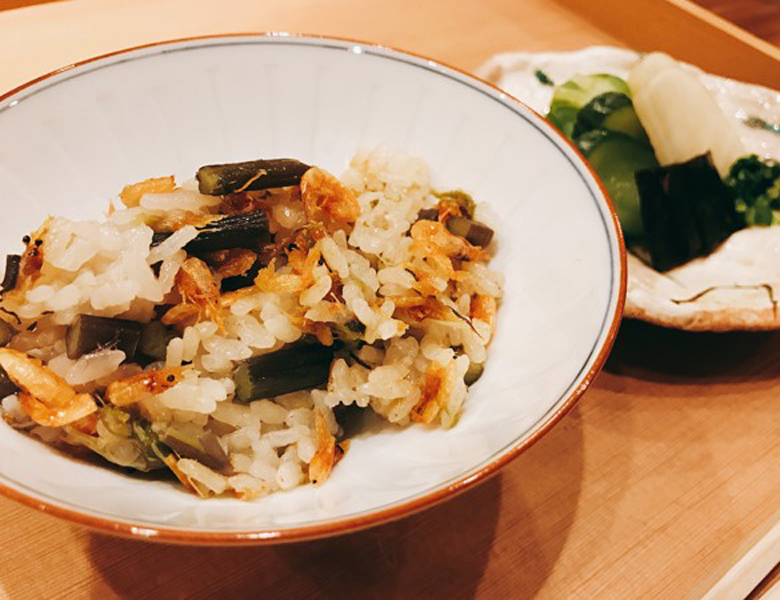 The “Ko no mono” or seasonal pickled vegetables with “gohan” or rice made with seasonal ingredients. The staff prepare a pot of rice that is specifically made for your group. The staff asked me if I wanted more rice after I finished eating what I had in my bowl, and I gladly obliged. They even asked if we wanted to take home an “onigiri” or a rice ball, as some customers can’t finish it all. I have never seen this done anywhere else. The dessert or “mizumono”. 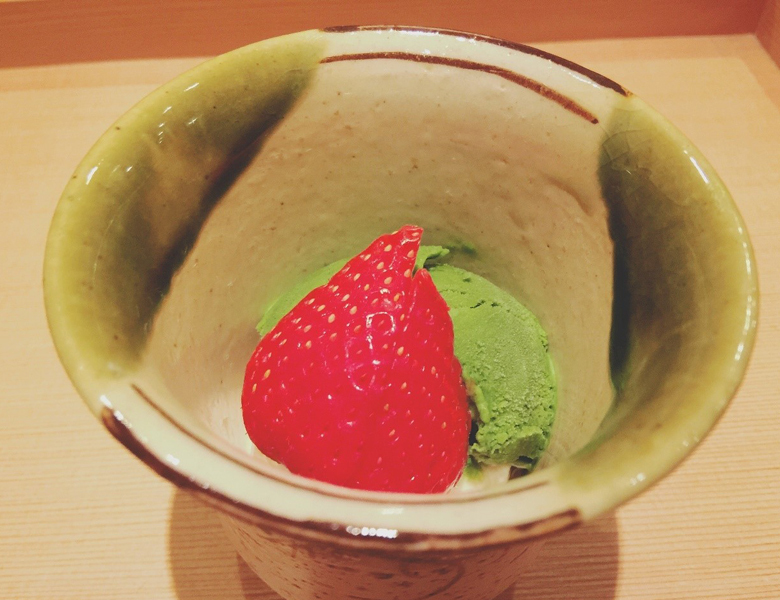 It was macha ice cream (green tea) with a fresh strawberry. 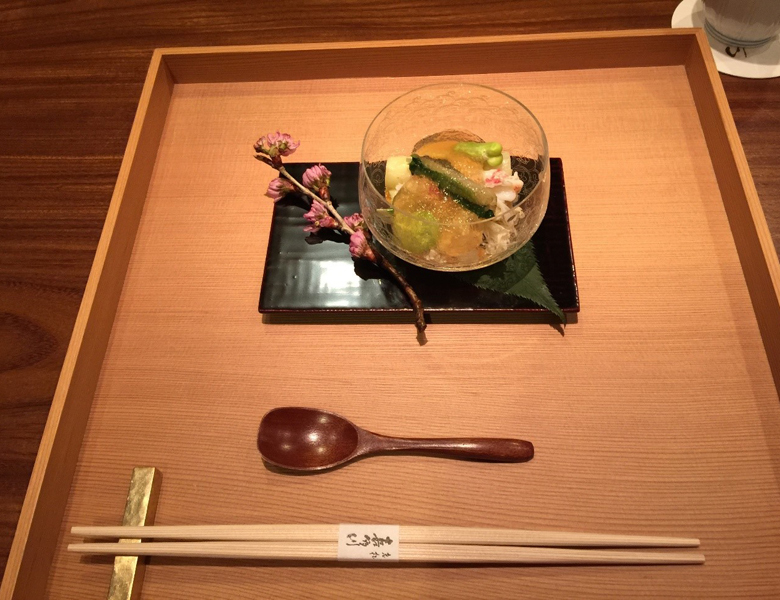 Usually traditional kaiseki have fruit, some kind of jelly dessert or ice cream. I have also seen some places with a cake. Though the staff didn’t speak English fluently, they were very helpful. Chef Kitagawa was very friendly and seemed very easy going. 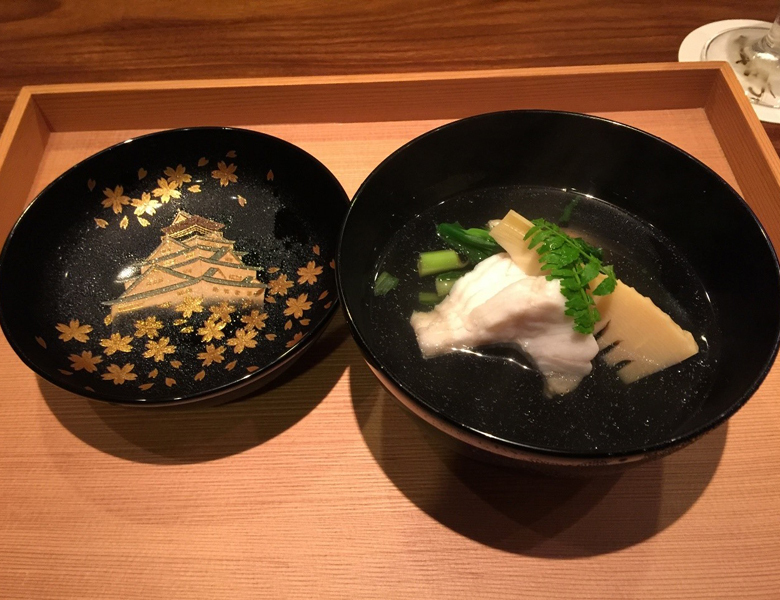 The atmosphere was more relaxed than some of the other restaurants I have been to in Japan. I enjoyed some sake with the dishes and the staff recommended some sake to pair with the dishes I was having. 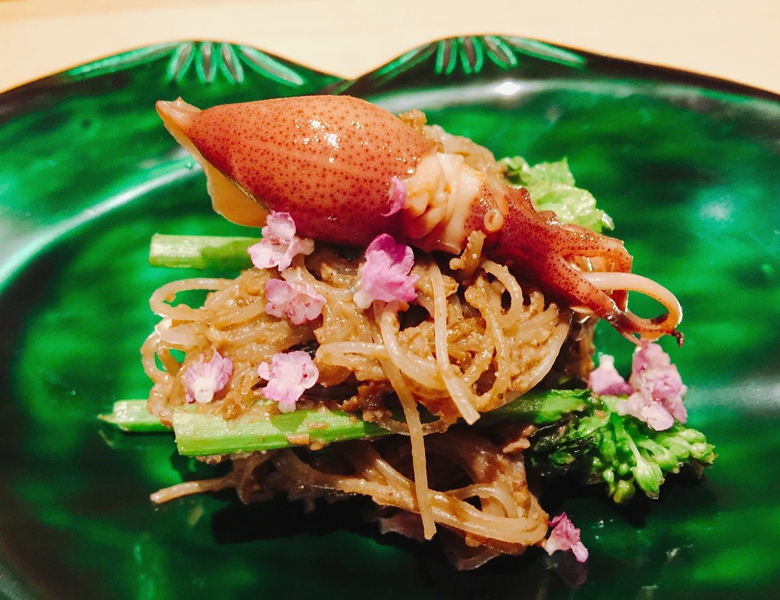 His cuisine can be described as very beautiful yet very flavorful. 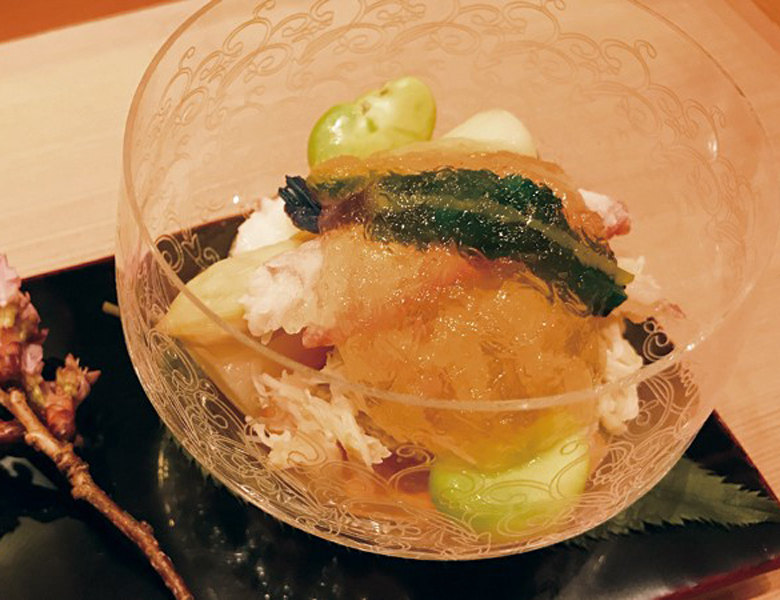 Though the cuisine is definitely traditional Japanese kaiseki at its heart, Chef Kitagawa adds his own creative style to each dish, which make it unlike anything else found elsewhere. Each dish was timed perfectly in a chain so that as I finished each dish, the next was out soon after. There is a reason why Oimatsu Kitagawa has many repeat customers and people are talking about it. A fantastic experience and will definitely be back. For those interested in reservations, be sure to make a request as early as possible as reservations fill up fast for this popular restaurant!